CLA soft gels or conjugated linoleic acid as it is scientifically known was originally discovered in 1979 and has been a popular fat burning formula gaining its reputation in the sports nutrition field over the last 15 years. 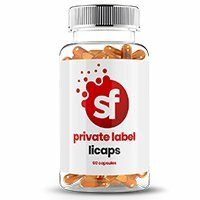 Some studies suggest that CLA capsules allow your body a greater ability to feast on its own fat as a source of energy during aerobic workouts. The strongest study is said to be represented over a 60 day period. According to scientific research, respondents saw a 9% reduction in body fat over the period of the study. 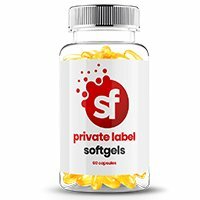 Conjugated linoleic acid: This 1000mg CLA soft gel is available in gelatine or HPMC (Vegetarian) capsule options. 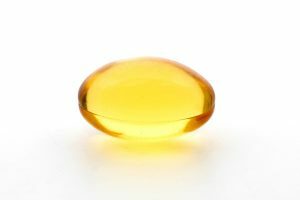 CLA (conjugated linoleic acid) is, in fact, a relation of the omega-6 fatty acid family this is 1 of 2 kinds of essential fatty acids that can aid the body to increase its metabolism. It is also thought to give a significant boost to the immune system and helps to maintain cholesterol levels. Originating in animal fats and dairy derivatives such as eggs, milk, beef and lamb it is a well-known fact that we are unable to replicate or produce CLA within our bodies. Coming frequently in oil form, the CLA soft gel has become the dose of choice for those looking to gain high-level intakes of conjugated linoleic acid. They are usually 1000mg capsules, much like that in the image above. Nowadays we are starting to see a large volume of blends that also contain CLA powder as an addition to fat burner blends and other high metabolic blends. Supplement Factory can advise on the best solutions for creating the correct blend for your brand, your blend can be delivered in gelatin or vegetarian hard capsule options. In the sports nutrition arena and the wider weight loss sector CLA is a staple core product for any brand. In the USA brands like Musletech, AbCutz, Muscle Pharm and Gaspari Nutrition are just a few that roll off the tongue, meanwhile the UK hosts CLA in brands from Myprotein, USN, FORZA and Holland & Barrett own label to name but a few. CLA, appears in brands across Europe and Asia, such is the demand. Various grades and specifications exist but one thing is for certain, CLA is here to stay, so much so that in 2011 Nutraceuticals World wrote that the market for CLA would hit $199M (This is yet to be confirmed) essentially you are not a brand unless you sell CLA.